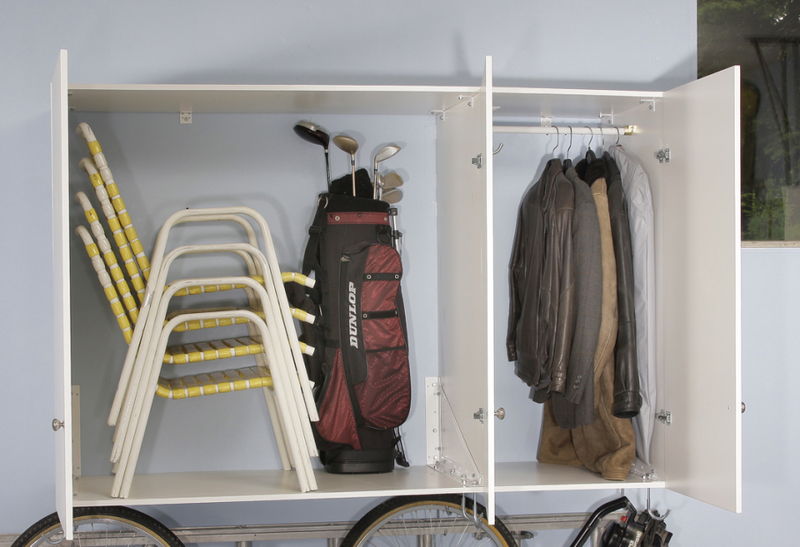 The four by six feet mounted cabinet can also have up to 3 doors. 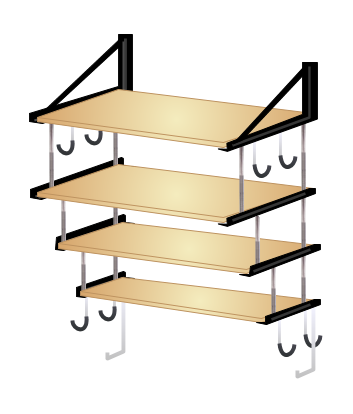 Sturdy steel construction ensures strength even under the heaviest loads ( up to 300 pounds ). 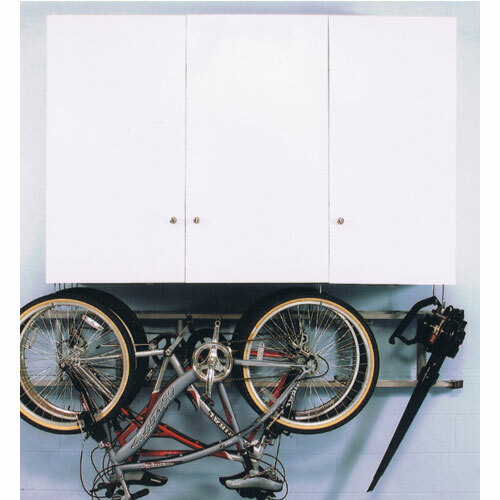 If you are looking to store objects hidden from view, our garage wall mounted cabinets are the answer. 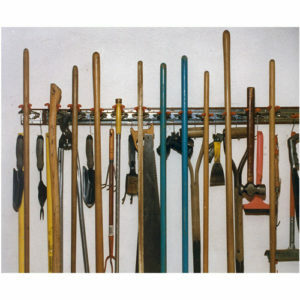 TidyGarage supplies you with everything you need to build the cabinets, from the shelving supports down to the hinges and door knobs – everything except the wood When you are in control of the wood, you can determine the width, thickness, grade and color of the walls, doors, and cabinet shelving. 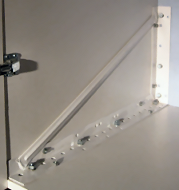 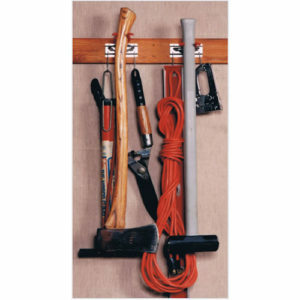 Each set of Garage Wall Mounted Cabinets comes with two packages of multi-purpose, vinyl covered, hooks; and two ladder hooks. 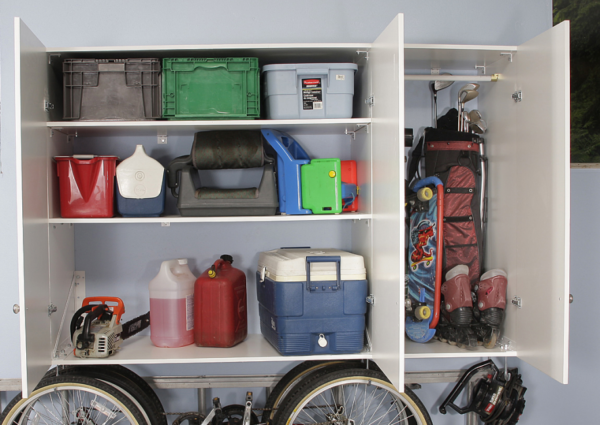 Hang bicycles, hoses, cords, and ladders, beneath the cabinet for additional storage capacity. 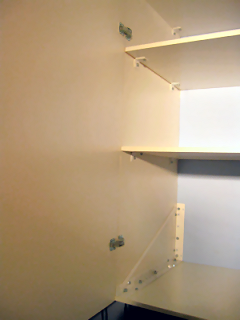 Your cabinet must be installed to a load-bearing wall in your garage ( or an area of your choosing ).